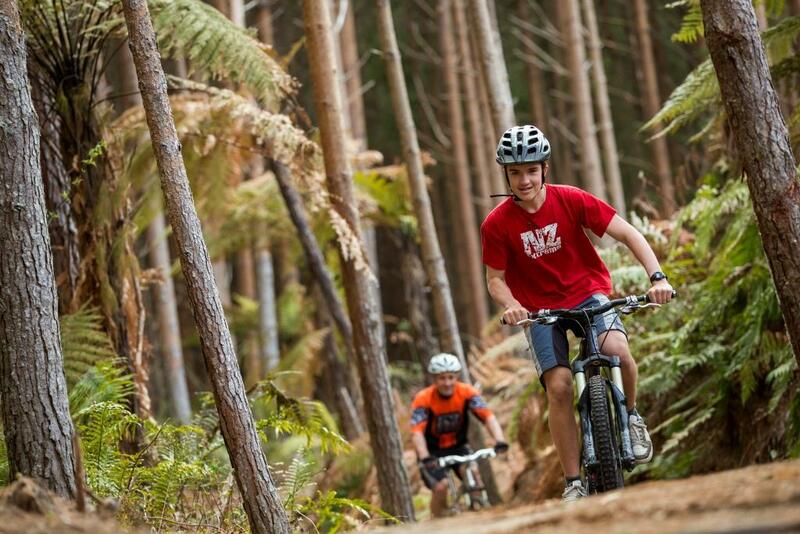 Enter from the main car park on Waipa State Mill Road or from The Redwoods car park on Long Mile Road. Entry from Waipa is much easier for children and beginners. Entry from The Redwoods means an uphill ride to access the track network but you can stop in at The Redwoods Gift Shop & Visitor Centre for refreshments, and there is a variety of other activities starting from here too! Check out the mud pool on the multi-use link track which leads to the Pohaturoa lower lookout. Here you get panoramic views of Rotorua City and the thermal reserve. Into the network the wide sweeping beginners’ tracks with gentle climbs and descents are fantastic fun. With the mix of track grades in this area it is easy to move onto more challenging tracks as confidence and ability increases. For intermediate riders the core network is great for a really good ride if you don’t have too much time. 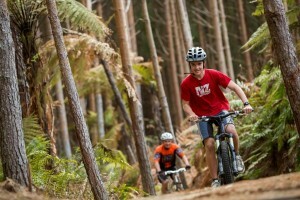 To find out about these trails and more, check out the trail descriptions written by bikers, for bikers on RideRotorua.com. If you are a beginner remember to click the tab at the top of the track list to search by Trail Grade.